As a passionate triathlete and professional, I've always been interested in people who achieve in athletics, business, or otherwise. One common trait that successful people have is their ability to accomplish more in less time. Yes, you can get there with brute force, but the best way to excel in any given field is via focused practice and execution. The same concept can be applied to triathlon. 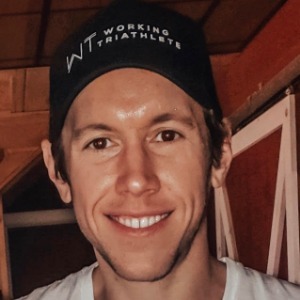 I started Working Triathlete to dispel the myth that athletes need to train 15-20+ hours to be competitive in triathlon. In reality, you don't have to sacrifice family, friends and your career to achieve your goals, whether it be finishing a race, placing in your age group at local sprint triathlons or qualifying for Kona. With a knowledge of certain principles, and a well-structured plan, you can approach your genetic potential in the time you have available to train. Success. Coach Conrad Goeringer has been notified of your message.